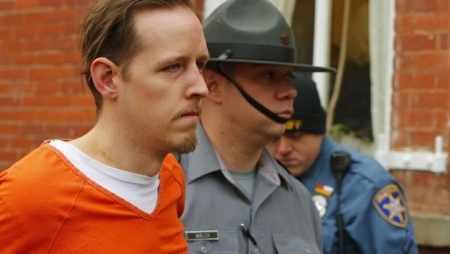 Pennsylvania authorities have charged trooper ambush suspect Eric Frein with two counts of terrorism Thursday. He was already charged with first degree murder in the September 12th shooting of Cpl. Bryon Dickson at the Blooming Grove State Police barracks. Police found a letter addressed to "Mom and Dad" on a thumb drive that belonged to Frein. The letter says that only a revolution "can get us back the liberties we once had.” It also talks about shooting the troopers "with the purpose of influencing the policy of government." Frein also seriously wounded Trooper Alex Douglass in that attack before leading authorities on a 48-day manhunt through the thick woods of Northeast Pennsylvania. A neurologist has told Pennsylvania Attorney General Kathleen Kane that she cannot come back to work in her Harrisburg office until November 24th after suffering a concussion in a car accident last month. Kane was riding in the back seat of a state-leased vehicle without wearing a seatbelt when the vehicle struck a parked car. Kane hit the window with her head. She continues to have headaches, nausea and fatigue and her back and neck remain sore and have even gotten worse. She has been working from her Scranton home since the October 21st accident. Two of her agents were seated in the front. The driver had reached down to pick up a fallen iPad when he crashed into the unoccupied car. They were both treated for injuries. Philadelphia Police are looking for a suspect who stabbed a McDonald's employee after an argument over the store's closing time. The incident happened at 11:00 pm on November 3rd inside the store on the 2800 block of Grays Ferry Avenue. The suspect became angry and began arguing with employees after he was told the dining room was closed and was asked to leave. He followed one employee outside and continued to argue. When the employee turned to walk away the suspect stabbed the employee in the back. The employee was transported to the Hospital of the University of Pennsylvania where he was treated for his injuries. The suspect fled. The suspect is described as a black male, 5'6"-5'9", 190 pounds, 38-40 years of age, medium build, brown complexion, no facial hair, wearing puffy dark color jacket, blue jeans, and black baseball hat. Anyone with information on the suspect is urged to call 911 or 215.686.TIPS. The incident was caught on video.